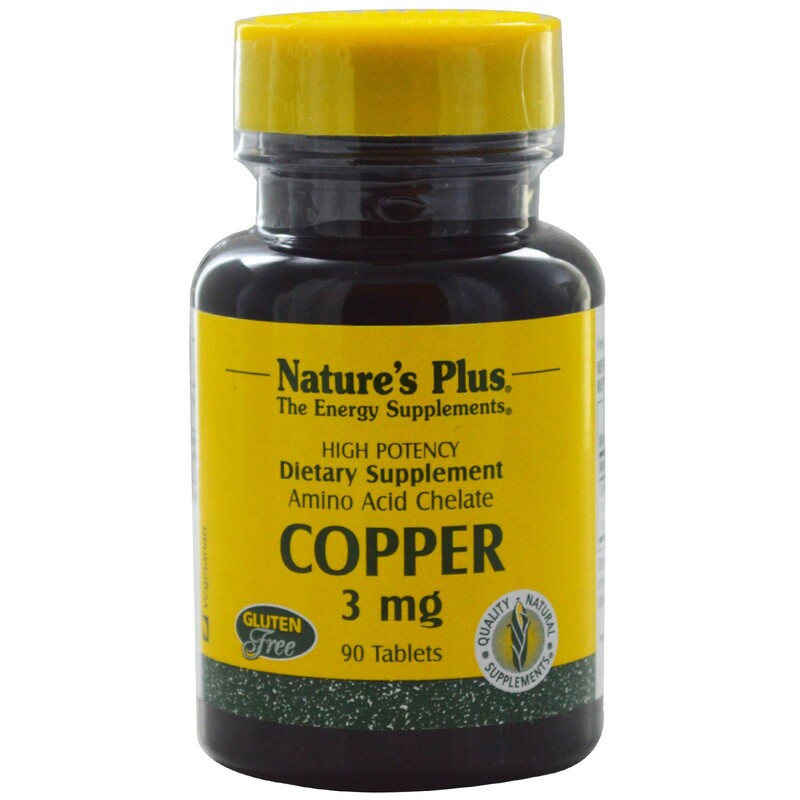 This Copper formula from Nature's Plus delivers 3 mg of the essential mineral. †Manufactured with the Biotron Process of amino acid chelation. Di-calcium phosphate, microcrystalline cellulose, stearic acid, magnesium stearate, pharmaceutical glaze and silica. 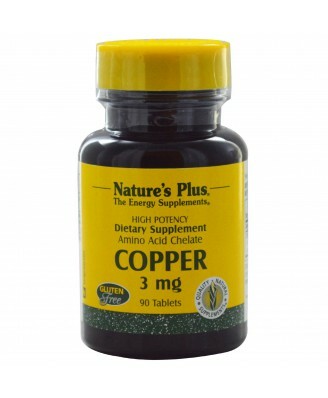 This Copper formula from Nature's Plus delivers 3 mg of the essential mineral, which is needed for the creation of red blood cells, for connective tissue and nerve fibers. Manufactured with the Biotron process of amino acid chelation. Many people are aware that their regular diet does not consistently supply enough of the food-based nutrients their bodies need. Nature's Plus offers a wide array of vitamin and mineral supplements which can effectively fill many of those nutritional gaps. 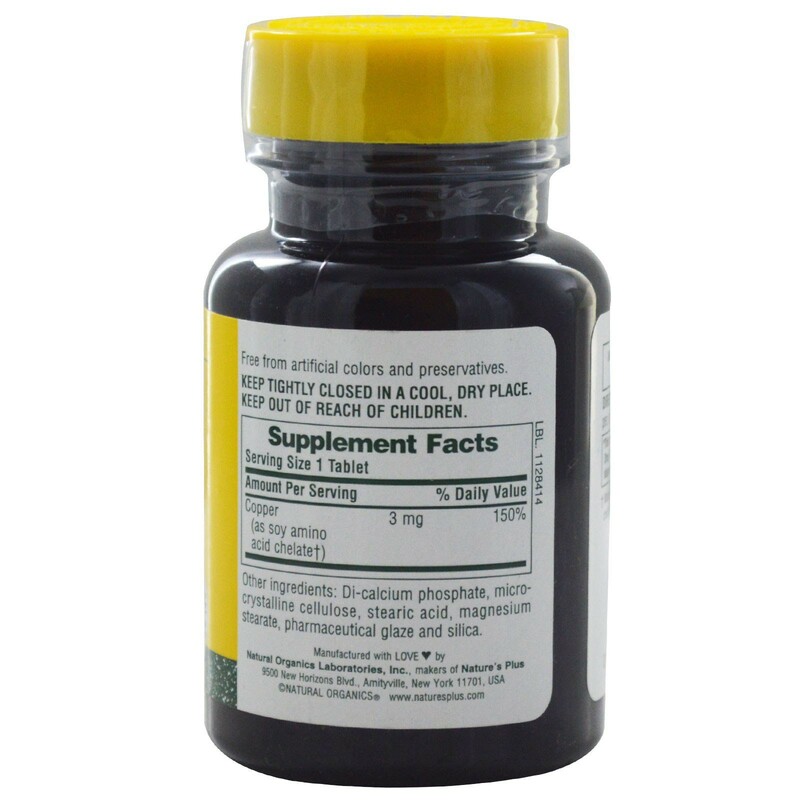 As a dietary supplement for copper, one tablet daily.